Do you enjoy crafting? Or Scrabble? How about Both! 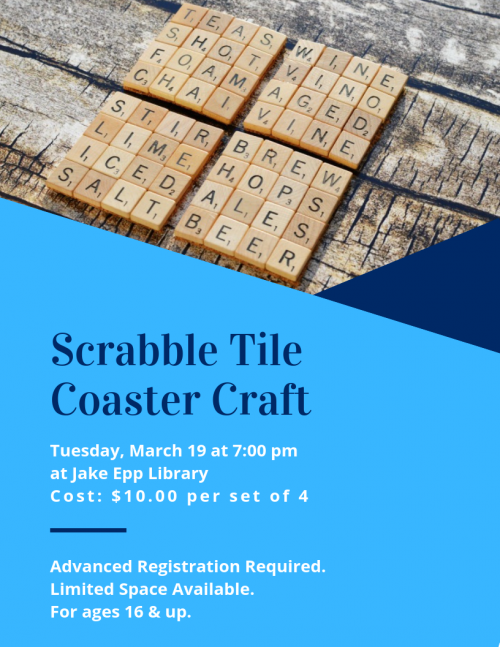 Together we will endeavor to create coasters made of Scrabble pieces. The craft costs $10.00 per person. Each person will make 4 coasters. Advanced Registration Required. Limited Space Available. For ages 16 & up.